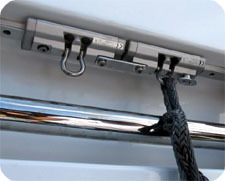 Please see the Archived News and Products available from Nance & Underwood Rigging and Sails. 1 3 January- Lagoon 47 Complete Standing Rigging Exchange this vessel is a charter vessel with an experienced crew who demanded and received our best effort! 2 9 January- 44 C&C Complete Rigging Exchange from Failed Rod Rigging to 7x19 Wire Rigging. This project was a great success, the owner benefitted by exchanging the expensive rod rigging to a cost saving and maintenance friendly wire rigging. 3 10-16 January- 38 Hans Christian Sloop mast removal painting and partial re-rig. This vessel suffered bridge impact damage at the mast head. The mast was repaired and painted by Royale Palm Yacht Basin after N&U stripped the rig and replaced the damaged components. 4 19 January – 6 February 62' Catamaran Mast removal, painting, sail repairs and rigging upgrades. This carbon fiber mast required four days of pre removal work as well as 10 days to re-step and rig the boat. 5 4 February- Mast stepping and Re-rig Alden 43 Ketch. This re-rig went up in record time; the owners were off shore within the week! 6 5 February- 36 Benneteau Complete re-rig, The owner was surprised that this re-rig was performed with the mast erect and within three days! 7 10 February- 13.5 Meter Benneteau Complete re-rig, another Benneteau is sailing with a N&U rig. 8 1 March- 50' New York complete re-rig, this yacht was rigged to run!! The new rig is lighter and stronger. 9 21 March- 32 Gemini Catamaran complete re-rig, the owner indicated that the professional crew that attended to his vessel was the best he had encountered! Projects During the first quarter 21 Sails were brought through the loft for repair; 8 head stay furling units were exchanged; 3 Screechers were installed; 14 lights were replaced; 5 rig tunes; 8 rigging surveys. All in all a great quarter for Rigging and Sails! N&U, a Fort Lauderdale based Rigging Company and Owners of Rope Inc. today announced the acceptance by Lloyd's Registry as Authorized IMO Service Providers in the maritime industry as related to masts, rigging, sails, surveys as well as suppliers. This achievement puts N&U at the forefront of rigging materials and service suppliers in the Southeastern United States! This great milestone was the logical step for our Company to take in order to continue to provide quality rigging services to our customers as well as to keep up with the requirements of the larger and modern yachts. The services we provide includes the manufacture and installation of rigging (including Davit Cables, CE Approved Safety Access Systems, SWL Load Testing, Means of Embarkation Testing, Anchor and Mooring Winch Service and Lines), as well as to satisfy the requirements of Lloyd's Register Classification Mast and Rigging Surveys acceptable by all Classifications and Insurance Providers. 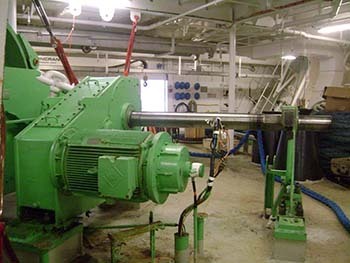 Nance and Underwood Rigging has been involved in the maritime industry since 1988. We are known as a company that always backs our work and provides each client with quality work and components. Nance and Underwood operates worldwide, as well as out of every marina, shipyard and backyard in the South Florida area. 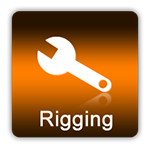 Rope Inc. (subsidiary Company), will benefit from the Parent Company's achievement as our rigging shop will test and certify in house as opposed to sending out the work to be certified by a third party. For more information concerning our Company, please CONTACT US and ask for our Company's app/catalog. Ronstan offers a Safety Rail System which is CE compliant for suspended maintenance work on megayacht superstructures and hulls outside of normal deck work. Yearly rigging surveys are required. Nance & Underwood utilizes the USCG as well as Lloyds Register guidelines in all of our surveys.